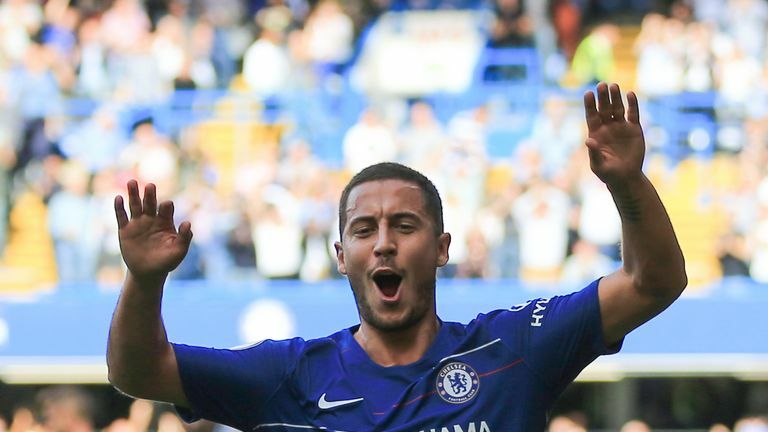 Chelsea forward Eden Hazard would be capable of scoring 40 goals this season if he was playing for Liverpool or Manchester City, says Stuart Pearce. Hazard's hat-trick against Cardiff on Saturday sent Chelsea top of the Premier League table on goal difference after a perfect start under Maurizio Sarri. The Chelsea boss has backed Hazard to win the Premier League Golden Boot, and challenged him to score 40 goals in all competitions. However, Pearce told Sky Sports News that he does not expect Chelsea to control enough games for the Belgian to reach that number. "I'm not sure Chelsea will dominate the league enough to create enough chances for Hazard to get 40 goals, because of Liverpool and Manchester City," said Pearce. "Put him in the Liverpool and Manchester City team at this moment in time and I think he might be able to." As well as setting Hazard a target of 40 goals, Sarri stated the 27-year-old can become the best player in Europe in two years. 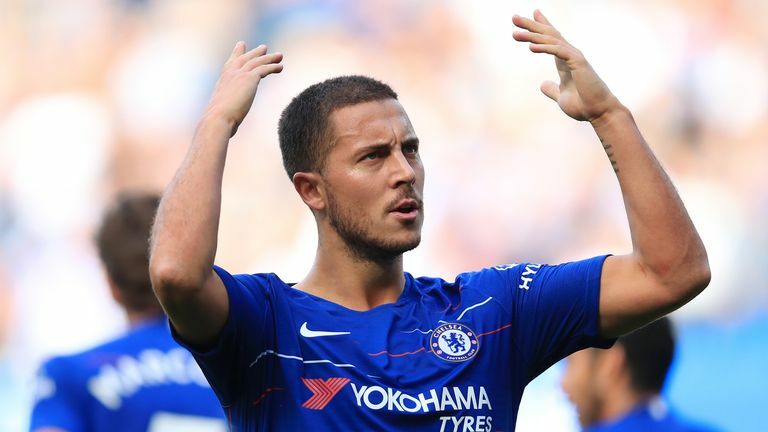 Hazard's strong start to the season comes after a summer where he was interested in a move to Real Madrid, and Pearce believes Chelsea have done well to hold on to a player who remains integral to their bid for a sixth Premier League title. "He's a low-maintenance footballer, I think, Chelsea have done really well to hang onto him for the past couple of years," Pearce added. "I would have thought other clubs might have put money down to take Hazard away from them - he's the one player that gives Chelsea potential championship [winning] ability. "He's got so much ability, and works hard for the team as well, when you throw that in the mix, he's one of these that you need to keep educating, keep testing him in regards to whether you can improve him, but also make sure you tell him how well he is doing."